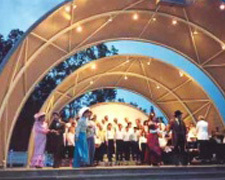 Sundays and Thursdays, June 5 – August 28 6:30 p.m. Bring a picnic and a blanket and join us at the band shell to enjoy our free Summer Concert Series every Sunday and Thursday evening, June 5 through August 28. For more information, call the Concert Hotline at (302) 761-6965. Park entrance fees are in effect. July 17th: The Big Jangle, Songs of Tom Petty & the Heartbreakers. Bellevue State Park, Wilmington. 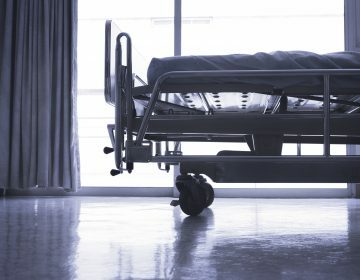 Named Chicago’s Best Musical, Best New Play and Funniest Show. 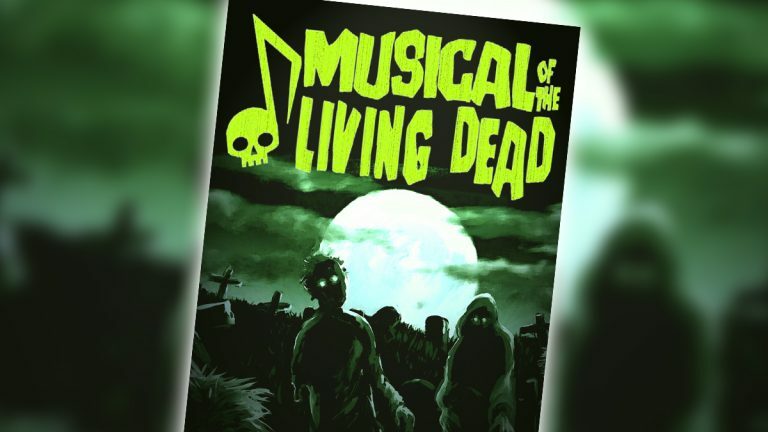 Musical of the Living Dead takes audiences on a rip-roaring journey beyond the grave with its satirical send-ups of classic zombie films and musical theater. The zombies and humans alike take part in the memorable show tunes, original songs inspired from such disparate sources as George Gershwin and Green Day – complete with tap dancing, power ballads and street-smart rapping zombies. 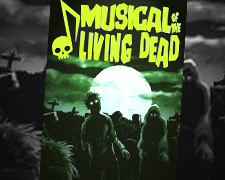 Musical of the Living Dead is a hysterical, hummable, 4D zombie doomsday adventure complete with Bootless’ infamous The Pit Splatter Zone ever. Bootless Stageworks, Wilmington. 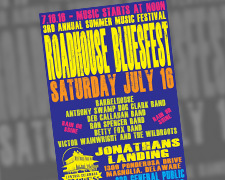 The 3d Annual Roadhouse Bluesfest is Saturday July 16 at Jonathan’s Landing in Magnolia DE. 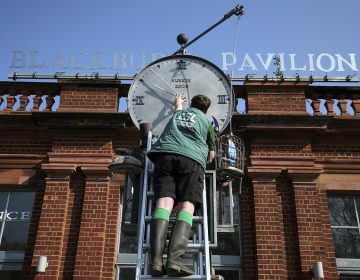 This is an outdoor event, held rain or shine. The headliner is Victor Wainwright and the Wildroots. Wainwright is not just an excellent Blues musician but a consummate showman. 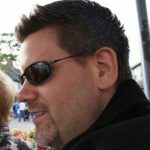 Two other national blues favorites, the Betty Fox Band and the Ron Spencer Band join local favorites, the Deb Callahan Band, Anthony Swamp Dog Clark and his band, and Barrelhouse. Jonathan’s Landing, Magnolia. 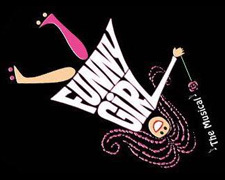 A triumphant story of starry success and a bittersweet story of love, Jule Styne and Bob Merrill’s Funny Girl is a musical theatre classic which celebrates the exuberant and elegant flavor of Broadway in the 1910s and 20s and the comic genius of Fanny Brice. Featuring such beloved songs as “People,” “Don’t Rain on My Parade,” “You Are Woman, I Am Man,” and “The Music That Makes Me Dance.” Kent County Theatre Guild, Dover. Since they formed about 20 years ago, the Cherry Poppin’ Daddies have made it their mission to veer from genre to genre, choosing to follow their own muse. 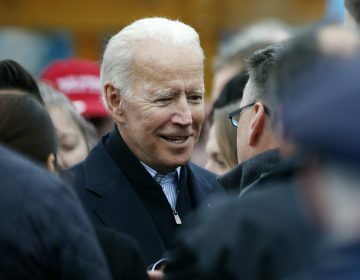 Their ability to bend the boundaries has been tempered and informed by an adherence to a tradition grounded in Tin Pan Alley, swing music and the great American songbook. 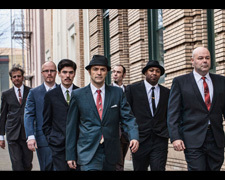 Cherry Poppin’ Daddies has always prided themselves on their craft and musicianship, superior skills that have allowed them to excel in whatever format they choose to tackle. The Freeman Stage at Bayside, Selbyville. The New York Post raved: “…probably the next best thing to seeing STREISAND HERSELF…”. This multiple award-winning Barbra Streisand Tribute Artist, has been described as “funny”, “charismatic”, “can improvise on the spot”, “creates the perfect illusion as Streisand”, “has Streisand’s signature phrasing, timing and vocal mannerisms”. Don’t miss this evening of your favorite Streisand songs. Milton Theatre.